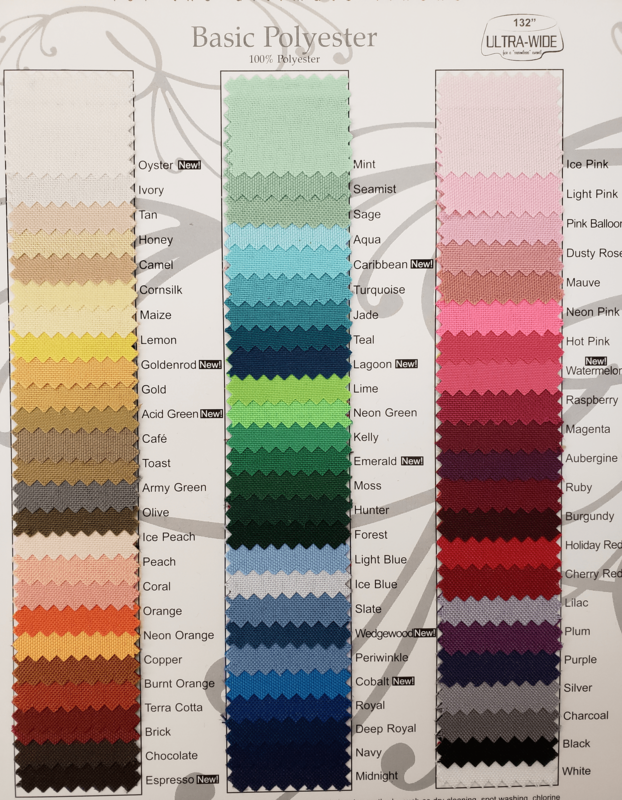 The 28 linens listed on our color chart are polyester stock linens we carry in house. Using our stock linens will save you money and give you the flexibility to increase or decrease quantities at the last minute without additional charge, however if our stock linens do not meet your needs, please contact Michele, our event coordinator, for a broad selection of different colors and textures. 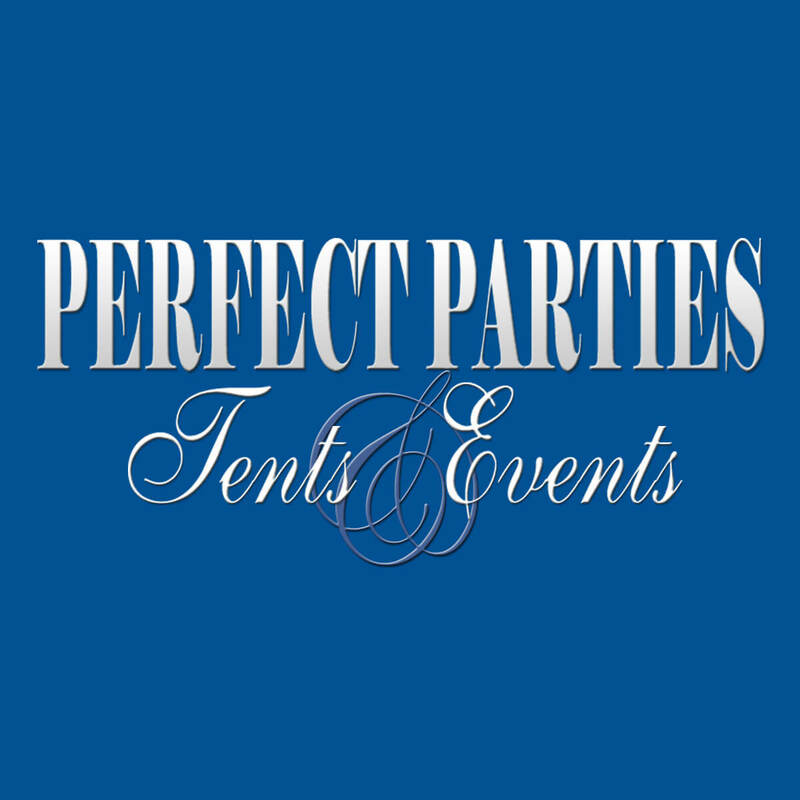 We offer the largest selection of custom linens and chair covers in the area. Pls. refer to the color chart when selecting linen color(s). 60"x120" (W or I) $9.40 ea. 90"x132" (W, I or Color) $21.80 ea. 90"x156" (W, I or Color) $21.80 ea. Size: -- Please Select -- 60" x 120" 90" x 132" 90" x 156"
20"x 20" (W or I) $0.63 ea. 20"x 20" (Color) $1.58 ea. Size: -- Please Select -- 20" x 20"
8' Skirt (W or I) $10.50 ea. 8' Skirt (Color) $15.75 ea. 13' Skirt (W or I) $15.75 ea. 13' Skirt (Color) $20.00 ea.